When you use our web design and development agency you also receive marketing services and customized products, services and solutions made just for your specific business. 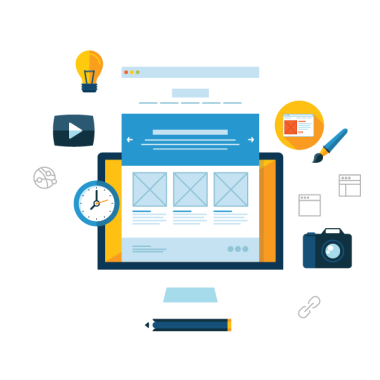 We'll build you an easy to navigate, user friendly website with a custom Content Management System, to help you organize and control your website from one back end platform. After building your site, we can increase your website visibility through targeted marketing campaigns, lead generation techniques, and our SEO services. We stay ahead of industry trends and techniques and the passion for our industry keeps us focused on providing excellent products and services. We believe in the old school values of hard work, doing the right thing, transparency and loving what you do. 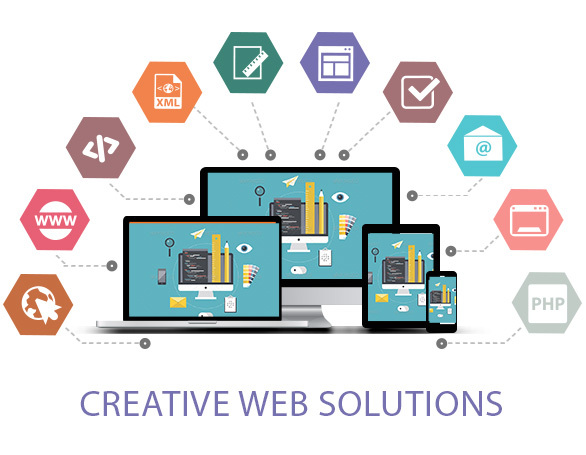 We provide web design, web development and marketing services under one roof which gives our clients the convenience of finding what they need at one location. We give each project our all and the successes of our projects are testament to this. We are results oriented and make sure that we consider your end goal before we implement a product or service. Our customer service and the way we treat every client regardless of their budget or the size of their project. 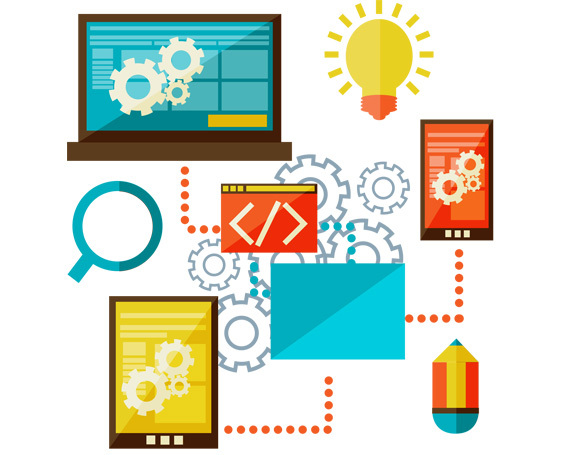 No limits web development is more than just a catchy phrase. It is taking the limits off of the creative process. It is coming up with the best, most dynamic solutions for every project that we take on and not being afraid of the creative process. We hand select each product, service and solution so that it matches the goals you have in mind for your business. We love unique ideas and we are able to translate them into functioning solutions that your customers will enjoy. We listen to your business’ needs, brand, message and goals and then we use them in creating custom website design and development solutions. We incorporate relevant, of the moment technology to keep your business thriving. Our designs are creative and eye catching and our optimal development solutions are results driven. 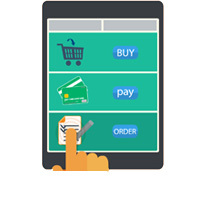 The most important part of a good E-commerce web design is that it is focused on sales. We use analytics and reporting tools to ensure your site’s peak performance and keep the sales coming in. We know how to successfully implement sales strategies such as up-selling into your web design and by doing this we increase your ROI. The custom Fort Lauderdale E-commerce web design that you decide on will be results oriented, as well as being engaging and easy to use. The web design that we create is custom to you and that is important because it is representing your business. We don’t use generic templates or the same design for each site. We take pride in customizing each detail for you and customers appreciate this attention to detail. Our solutions are integrated and high performing and aim to keep your business ahead of the competition. Due to our beautiful Fort Lauderdale locale, we know the area, the market trends and what the local customers find appealing and we incorporate that into your custom web design. Mobile web design reaches more customers than non-compatible web designs and this is important for growing your business. User friendly, easy to navigate designs are important so the customer has an enjoyable experience. 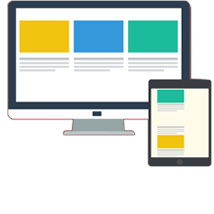 By testing the mobile web design after it is created is so important to make sure it provides the intended results. We do these tests in our safe test center. Since we are a results focused business, we succeed when our clients’ business’ succeed. When our Fort Lauderdale web design company successfully implemented we then start working on the marketing services that will make them more profitable. Fort Lauderdale SEO services increase online exposure by putting your site near the top of major search engine results pages. We also deliver logos, branding and graphic design services to make your business stand out from the crowd. Email campaigns done strategically and online target marketing are significant services that reach more of your target consumers. Our mobile and tablet app development services, plus the use of programming techniques, extranets and intranets and Facebook integration services enhance your products. 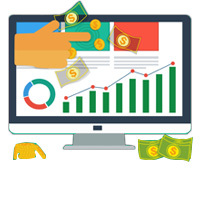 Fort Lauderdale Pay Per Click Marketing Services(PPC) reach targeted customers in an organic manner while they are shopping online. Your business’ continued success is our motivation! Let's put your project in the capable hands of our team! We'll get your brand established in the online marketplace, and continue to grow it with passion. Stop Losing Business To Your Competition. Discover How We Can Help Your Business Grow Via The Internet... If we don't perform you don't pay! We aren't just satisfied with only being on the first page of Google. We want to dominate the whole page. We have been successful at overtaking multiple first page top 5 results for many of the toughest searches. Please select one Unknown $1500 - $3000/mo. $3000 - $6000/mo. $6000 - $10000/mo. $10000+/mo.